The NC Tigers and Atlanta Kookaburras met in Fuquay-Varina for another chapter in our storied rivalry. Unfortunately, the Kookaburras were a little short-handed on this road trip. A couple of Tigers volunteered to pull on the green and gold for Atlanta so that we could have a 14-a-side match in the North Carolina heat. The Tigers jumped out to quick lead thanks the boot of Paul Duncan, who kicked 3 opening-quarter goals. The Tigers midfield and defense combined to repel all of the Kookaburras attacks in the first quarter. The Tigers continued to pressure the Atlanta defense, but were unable to capitalize on the scoreboard by scoring 5 straight behinds. The Kookaburras were also able to get off the mark with a goal. In the third quarter the Tigers tried some different lineups. It caused a moment of confusion for Scott Bradley, who ended up clearing the ball from the Tigers half-forward line to the Tigers half-back line. Scott made up for his mistake by kicking 2 of the Tigers 3 goals in the third. 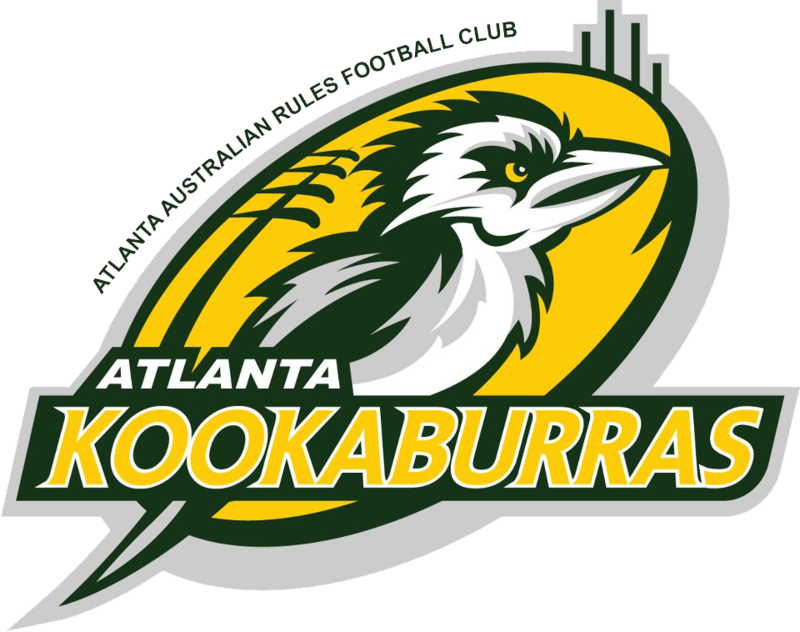 The Kookaburras started finding some attacking success by kicking 2 goals in the third quarter. The Tigers continued to attack in the last quarter and broke the 100-point mark, with Paul Duncan kicking another 2 goals. The Tigers will need to travel well for the return match in Atlanta in September. The Kookaburras fought hard in the NC heat and caused some real problems for the Tigers, but didn’t have enough players to keep up with the Tigers for 80 minutes. This entry was posted in Match Report, News and tagged 2015, Schedule. Bookmark the permalink. Both comments and trackbacks are currently closed.